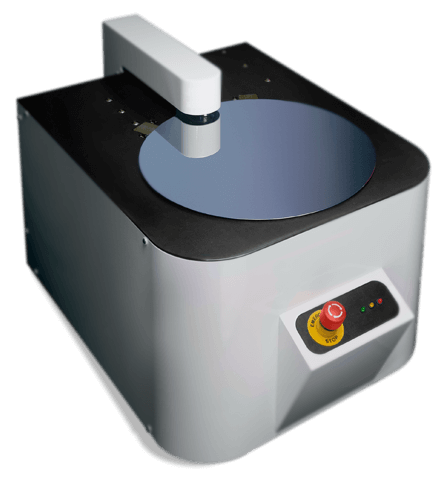 The Proforma 300iSA is a benchtop/desktop, semi-automated wafer measurement system for semi-conducting and semi-insulating materials. Based on MTII’s exclusive Push-Pull capacitance technology, the Proforma 300iSA delivers full wafer surface scanning for thickness, thickness variation, bow, warp, sori, site and global flatness. User-defined and ASTM/SEMI compliant scan patterns are used to generate full 3-dimensional (3D) wafer images. Customized data reports are available for viewing tabular data of each wafer measured with quick, easy export to your spreadsheet program. Contact MTI Instruments directly with any questions about our manual or semi-automated metrology systems.